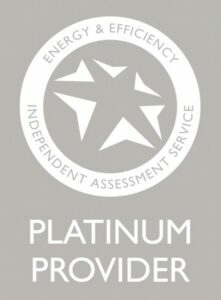 We are the only private provider to achieve this status, sitting alongside the big six utility companies to deliver of some of the best Smart Meter installer training in the country. 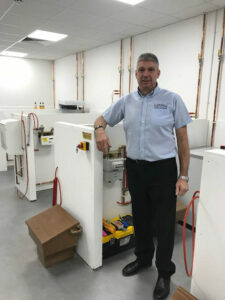 Mark Krull, Director for Logic4training, said: “We are thrilled to have been awarded Platinum status as a Smart Meter Training Provider. This is no mean feat considering, to-date, only the big-brand energy companies have managed to reach this level. 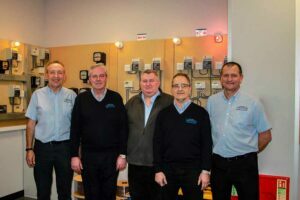 Some of our hard working smart meter trainers. 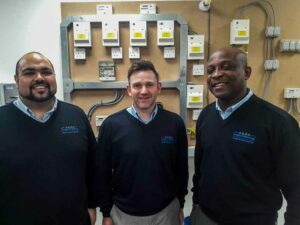 Who do we deliver Smart Meter training to? We currently deliver smart meter training for the likes of Lowri Beck, IMServ, EDF Energy, and Ganymede. Where do we deliver Smart Meter training? We deliver our industry-leading smart meter programme from centres at Northolt, Basildon and Luton, covering gas, electrical and dual-fuel options. Is there a demand for Smart Meter installers? Training up smart meter installers to meet the 2020 deadline continues to be a large and important task. With a recent Which? report claiming that we are a long way off meeting this deadline, there is still a big opportunity for candidates looking to tap into this market; from both within and outside of the building services engineering sector. 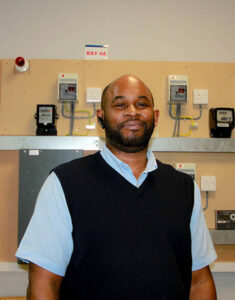 How can I become a Smart Meter installer? Anyone interested in getting involved, should go direct to the energy companies and other organisations delivering the roll out – they are responsible for putting staff through training.